Do you want to see the Wi-Fi network password through your mobile phone? The original settings on Android don't actually allow this, but if you root your smartphone, you can find the Wi-Fi password. In this article, we'll show you how to do just that. Perhaps you just simply want see the password to your Wi-Fi network on your phone without having to dig out the router and read the password off the box? Or perhaps the Wi-Fi password isn't written anywhere else and this is your last resort? Whatever your reason, don't worry: with root access, you can access the unencrypted conf- file that contains the Wi-Fi codes. 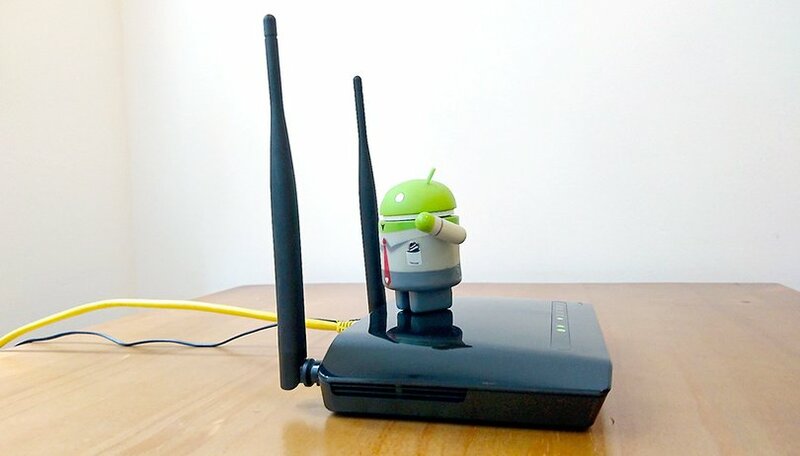 Top tip: If you have a router in your apartment, you can also give guests access to the Wi-Fi network without a code: press the WPS Push button on the router and activate WPS Push in the Wi-Fi settings of the Android smartphone, so that the connection is established without a Wi-Fi password. A word of caution though, this feature doesn't work with iPhones. Find a file manager that displays root content. For this example, we used Amaze. The preinstalled CyanogenMod file explorer couldn't open the conf- file as a text file and was thus unsuitable. First, you must authorize the file explorer to open the root directory. The option is at the bottom of the app settings. Next, go into the directory tree following the path: data > misc > wifi. In this folder, find the file named wpa_supplicant.conf. This file contains all the networks in the plain text. The Wi-Fi passwords are also displayed here. There are apps can display your stored wireless passwords available on the Play Store, but keep in mind that these still need root privileges to function. Wifi Password Show is a free but ad-supported app that does exactly what you'd expect it to. Have you rooted your phone to find your lost passwords before? Do you use another method? Let us know in the comments below. I lost a day in rooting my Samsung S5 (LineagOS) but finally I recovered the lost password reading the file .conf: thanks. Bad information. Doesn't work. Neither do any of the apps. And yes my OP2 is rooted. I would have liked to have a method without root. can you make it possible for non root users?? Unfortunately, we're not aware of a method that doesn't require root.